It is with sadness that we mark the passing of Wendall, a founding member and past President of Orono Land Trust. 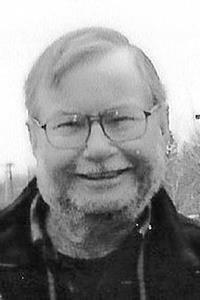 ORONO – Wendall L. Tremblay, 81, devoted husband, father, son and brother, died March 29, 2019. He was born on March 22, 1938, in North Anson, Maine, the son of Louis and Edna (Dickey) Tremblay.His life was marked by the desire to be of service to others, a love of the natural world, and a passion for travel. Gregarious and generous, Wendall made friends wherever he went. He loved storytelling and entertained us with accounts of his experiences, casting himself as both a hero and as comic relief.Wendall was proud of being an Eagle Scout, and worked as a camp counselor teaching outdoor skills to Boy Scouts during high school. He graduated from Madison High School (“hard as nails, tough as bricks, Madison class of ’56”), then attended the Leland Powers School of Radio, Theatre, and Television in Brookline, Mass. He met his wife, Trudy, when they were both employed at radio station WGHM in Skowhegan.He enlisted in the Army in 1959, and worked as an instructor at the U.S. Armed Services Information School at Fort Slocum, N.Y. In 1962, four years from the day of their first date, he married Trudy Dickinson of Norridgewock, and they moved to Orono, where he entered the University of Maine.After graduation, the Maine Department of Inland Fisheries and Wildlife hired him as an information specialist. He later left the department to devote his time to writing. In addition to many newspaper and magazine articles, he wrote and published the Maine Outdoorman’s Guide, and was the creator of the Maine Sportsman Magazine. Through his work on the Maine Sportsman he developed lifelong relationships with leaders in the outdoor industry, where he would spend the rest of his career.As national sales manager for the Wiscasset-based Lincoln Canoe Company, and later for Old Town Canoe, he traveled all over the U.S. and Canada. He spent a decade heading up his agency, Atlantic Associates, which represented outdoor products, and in 1995 he began his final career, as a management consultant to businesses in the outdoor industry. He also conducted sales training seminars throughout the country.He traveled extensively, most memorably to Siberia’s Lake Baikal in 1993. He was an enthusiastic outdoorsman, a lover of trees, a competitive target shooter, a fearless fundraiser, a compulsive teacher, and a prolific source of ideas and advice. He adored his wife and daughters, and was devoted to his grandsons. He claimed to be “a lover, not a fighter,” but he was always willing to try to right the wrongs of the world, as he saw them.At the Church of Universal Fellowship in Orono, he held many leadership positions, and was a supporter and volunteer for the Orono Land Trust and the Orono Bog Boardwalk. He devoted hundreds of hours of his retirement to leading tours of the Orono Bog, sharing his fascination with its ecosystem and unique plants. For many years, Wendall and Trudy hosted fundraising cooking parties in their home, where wine and laughter flowed as guests cooked and ate together.Of his many achievements, the one his family prizes most is the completion of his adventure novel, “Siberian Rescue”, the product of over 20 years of research and writing.Wendall is survived by his mother, Edna (Dickey) Tremblay Dube of Embden; wife, Trudy; daughters, Jill Tremblay and wife, Stacy Trosper, of Weymouth, Mass., and their sons, Zachary Goater and Nicholas Goater; and J. Louise Tremblay and husband, Neil Anderson, and son, Karl Anderson-Tremblay of Savannah, Ga.; brother, Glen Tremblay and wife, Joan, of Bowdoinham; nieces, Susan Tremblay of Portland, and Sara Tremblay of Cumberland; nephew, Greg Tremblay of Dryden, N.Y. He also leaves his AFS daughter, Josiane Jardim Ronconi of Sao Paulo, Brazil, and his Little Brother, Arlan Young of Dover-Foxcroft; and many cousins.His family wishes to thank the staff at The Arbor at Dirigo Pines for providing loving care.A celebration of his life will take place on Friday, April 5, at 2 p.m., at the Church of Universal Fellowship in Orono.Those who wish to honor his life can do so by showing their love to others, and protecting the plants, birds, and trees that share this magnificent planet. Condolences to the family may be expressed at BrookingsSmith.comThose who would like to remember Wendall in a special way are invited to give donations to:The Orono Bog BoardwalkUniversity of Maine Foundation2 Alumni PlaceOrono, ME 04469,and the Alzheimer’s Association 383 US Route One #2CScarborough, ME 04074.